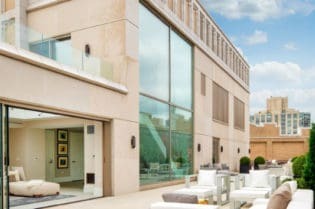 The bustling city of Houston, Texas is rapidly becoming one of the most popular locales in the United States, especially to find the perfect luxury home. Filled with amazing cultural activities and engaging sports teams, H-town has wonderful weather year round and is a short drive to the Gulf of Mexico. As Houston’s allure continues to grow, transplants and real estate investors alike are flocking to this progressive city. One of the most desirable neighborhoods in this welcoming metropolis is River Oaks. This planned community began in the 1920’s and quickly became the most prestigious areas in Houston. 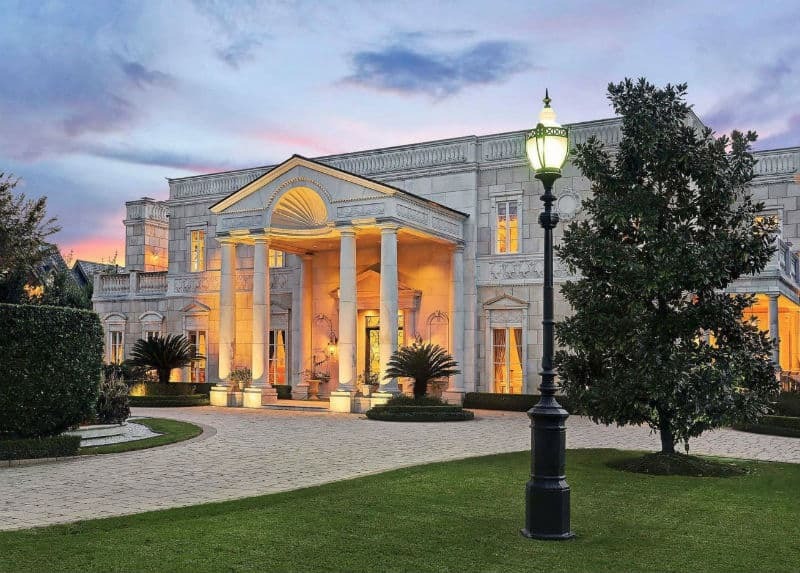 Today, River Oaks is home to Houston’s well-heeled citizens, as it is considered one of the most expensive neighborhoods in the United States. 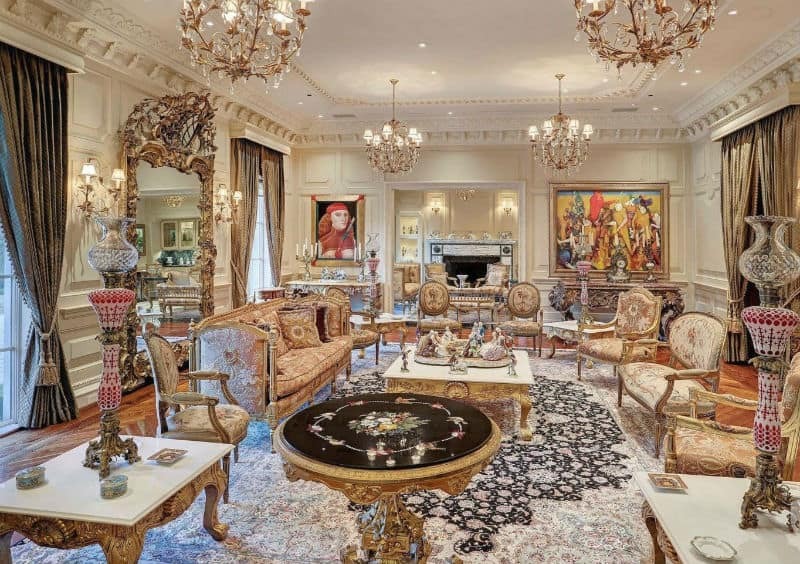 Positioned seconds away from the River Oaks Country Club, this mansion is one of the most coveted and lavish in the community. Located on the corner of River Oaks Boulevard and Inwood Drive, this striking luxury home evokes the style of 17th century France. 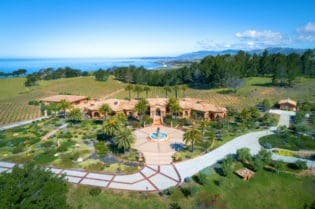 Built in 1994, the 15,003 square foot stone structure is ensconced on a one acre parcel that is gated and surrounded by tall hedges to assure the resident’s privacy. This spacious dream home has 4 bedrooms, 8 full baths, and 1 partial bath. The master retreat features a palatial marble bath filled with fine cabinetry and natural light. Fashion aficionados will delight in the incredible master closet lined with glass inlaid cabinets. 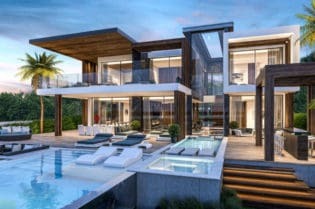 Entertaining will be a pleasure in this luxury home. The uniquely designed eat-in kitchen allows the joy of cooking to take place with family and guests but with the clean-up tucked away from the action. Oenophiles will relish the extensive wine cellar. 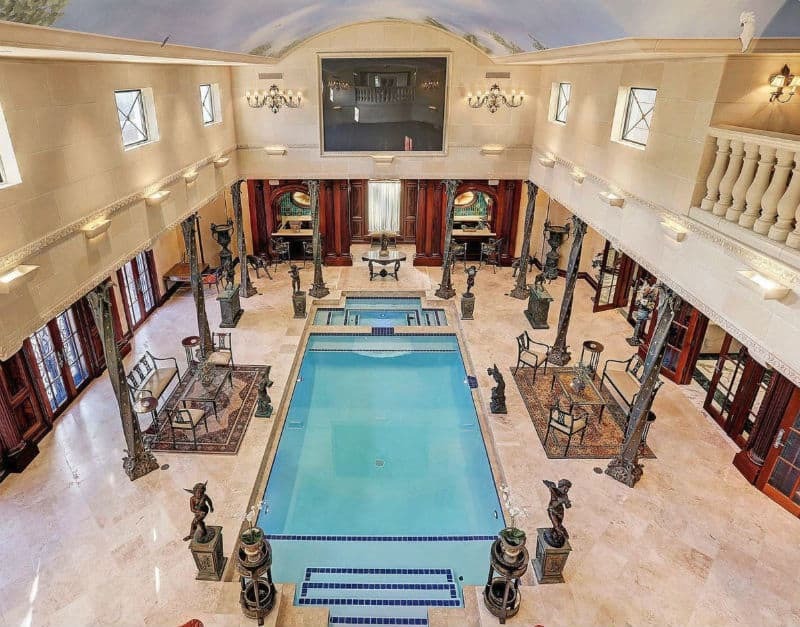 The multi-level pool room is one of the most impressive features of this mansion. The heated pool is surrounded with statues, columns, and multiple sitting areas. The already high ceiling soars to the heavens with its expertly executed blue sky mural. 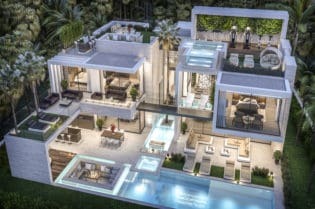 This luxury home astounds with its automation. To provide the peace of safety, this home has a state of the art security system. It is also equipped with a Lutron lighting system and automated window shades. For listening pleasure, a multi-zone audio system with Sirius Satellite tuners has been installed. The automation of this dream home is not confined to its interior. Not only does an irrigation keep the pristine landscaping healthy but the mosquito system keeps bugs at bay. 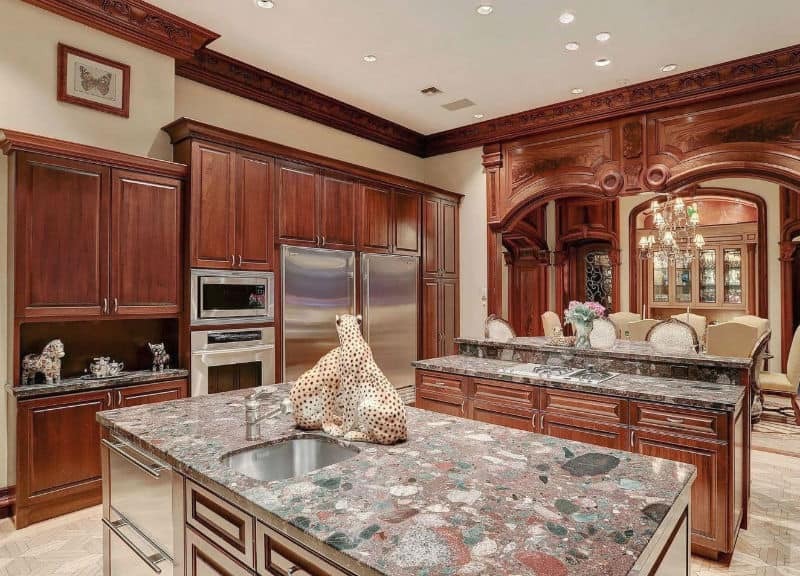 Prospective residents and real estate investors looking for a stunning piece of craftsmanship should look no further than this luxury home in Houston, Texas. 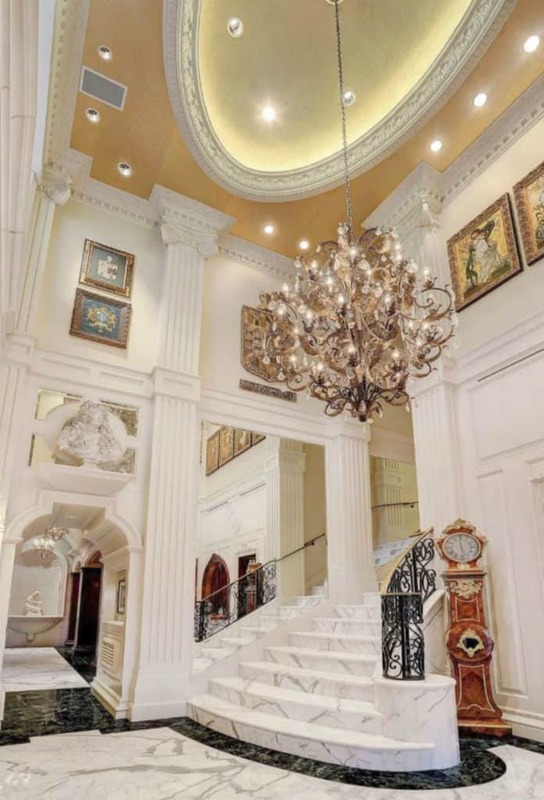 No detail or accent has been overlooked in this mansion. 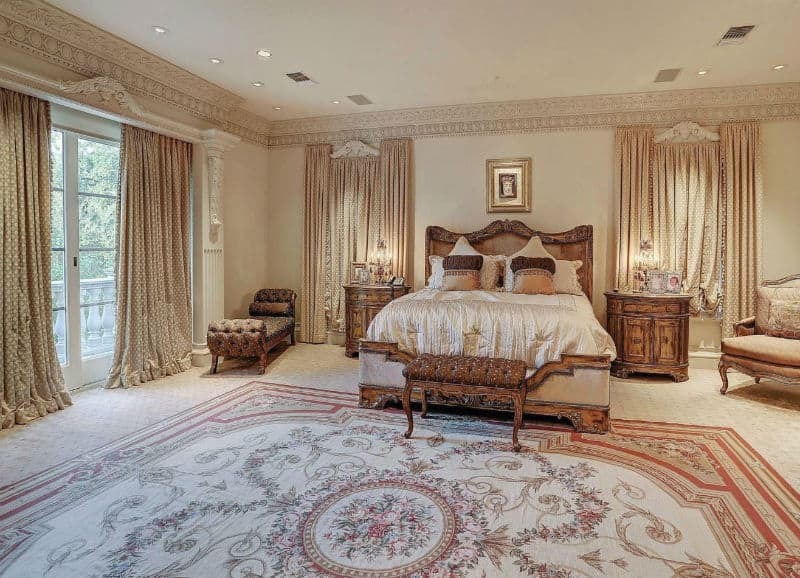 High ceilings, crystal chandeliers, inlaid flooring, and mahogany paneling abound throughout. 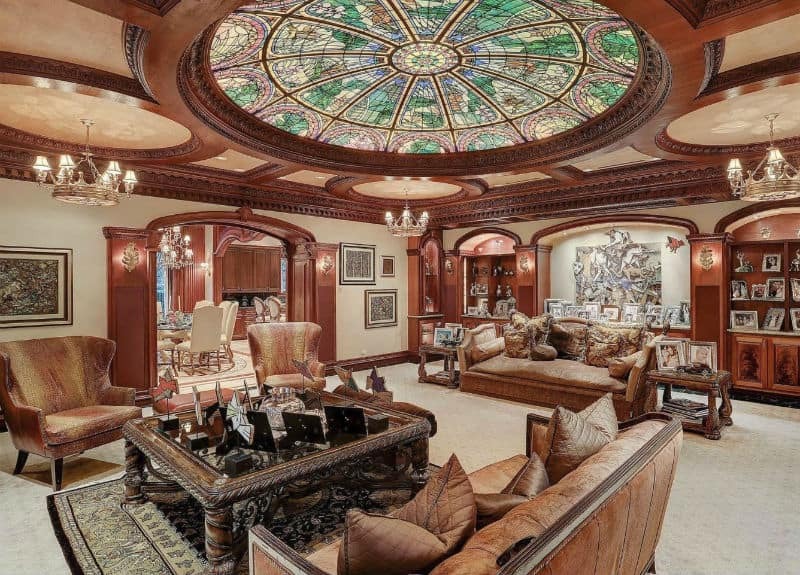 From the marble flooring to the ornate ceiling woodwork, this luxury home is a wealth of artistry. This property is listed with Martha Turner Sotheby’s International Realty – Briar Hollow Brokerage with an asking price of $14,900,000.00.